Author(s): Nemchynov S. I. 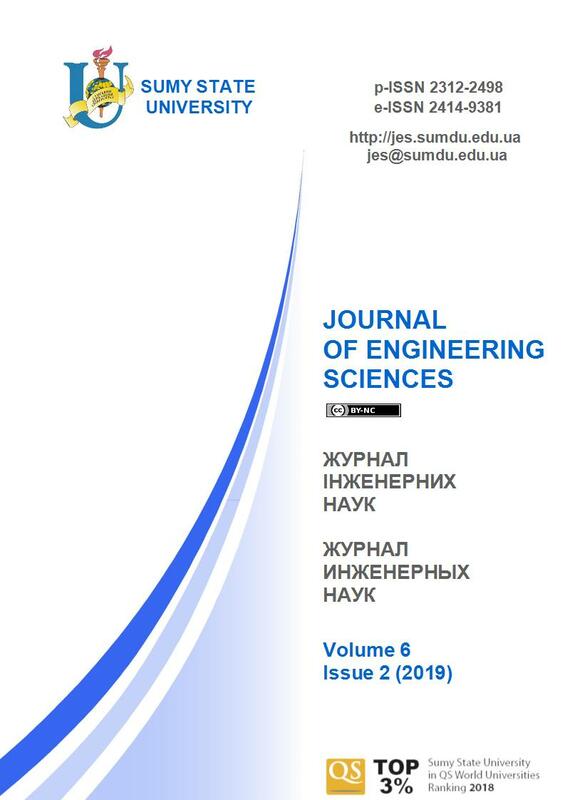 * , Nachovnyi I. I.
Nemchynov S. I. Stress-strain state of the lower traverse of the hydraulic press / S. I. Nemchynov, I. I. Nachovnyi // Journal of Engineering Sciences. – Sumy : Sumy State University, 2018. – Volume 5, Issue 1. – P. D1-D5. Research Area: MECHANICAL ENGINEERING: Dynamics and Strength of Machines. Abstract. In the present article the stress-strain state of the lower traverse of the central ejector of the hydraulic press for manufacturing large-sized plastic products has been investigated by using finite element analysis. It has been established that the stress-strain state of the traverse is characterized by a general and local uneven distribution of stresses and deformations; normal stresses in the cross section, passing through the plane of symmetry of the traverse, change linearly. Various changes of the equivalent stresses along the height on the inner surfaces of the central and lateral cylinders have been established. The zones of the traverse that are experiencing the highest values of normal and tangential stresses and strains have been identified. The research allowed to change the geometry of the traverse with a slight change in the stress and strain and therefore to reduce the weight of the traverse. This investigation and its results will have practical application in the design of new hydraulic presses as well as in improvement of existing hydraulic presses and are also the basis for further research. Keywords: finite element method, geometry, stress, strain, displacement. Surkov, I. A. (2004). Sostoyaniye i perspektivy obespecheniya prochnostnoy nadezhnosti bazovykh detaley moshchnykh gidravlicheskikh pressov. Blank production in mechanical engineering. Forging-stamping,foundry and other production, No. 3, 24–28 [in Russian]. Zhivov, L. I., Ovchinnikov, A. G., & Skladchikov, E. N. (2006). Kuznechno-shtampovochnoye oborudovaniye. N. E. Bauman MGTU Publishing House, Moscow [in Russian]. Dashchenko, O. F., Kovalov, V. D., & Lymarenko, O. M. (2012). Rozrakhunok napruzheno-deformovanoho stanu stanyny hidropresa. Pratsi Odeskoho politekhnichnoho universytetu, No 2 (39), 39–43 [in Ukrainian]. Dashchenko, O. F., & Lymarenko, O. M. (2013). Napruzheno-deformovanyy stan bazovykh detaley hidravlichnykh presiv. Machine Science, No 1–2, 33–38 [in Ukrainian]. Surkov, A. I. (2013). Vosstanovleniye rabotosposobnosti i preduprezhdeniye razrusheniy poperechin moshchnykh gidravlicheskikh pressov s primeneniyem styazhnykh ustroystv. Chief mechanical engineer, No 10, 51–56 [in Russian]. Surkov, A. I., Kurovich, A. N., & Surkov, I. A. (2003). Obespecheniye prochnostnoy nadezhnosti bazovykh detaley moshchnykh gidravlicheskikh pressov na stadiyakh proyektirovaniya i ekspluatatsii. Heavy Engineering, No. 5, 35–37 [in Russian]. Kamate, A. M. (2016). Design, Development and Analysis of a 20 Ton Hydraulic Press. International Journal of Innovative Technology and Research, Vol. 4, 2560–2563. Burli, P. S., & Zalake, R. M. (2015). Design optimization of Hydraulic press structure. International Journal of Latest Trends in Engineering and Technology, Vol. 5, 118–126. Iancu, C. (2013). Comparision between Analytical Calculus and FEM for a Mechanical Press Bed. American Journal of Mechanical Engineering, Vol. 1, 6–13.